Are you just not yourself until cup number 8 of your ‘morning’ coffee? Can’t function without the caff? Besides needing a detox, you really need to check out this freebie. We want to be sure to remind you that you can get a FREE Dunkin’ frozen coffee sample tomorrow (Friday, May 19) at a Dunkin’ Donuts shop near you! 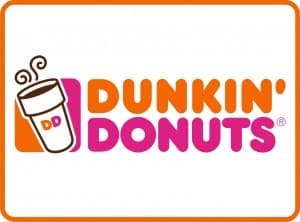 Just visit a participating Dunkin’ Donuts shop between 10:00 AM and 2:00 PM to snag your FREE 3.5-ounce cup of Frozen Dunkin’ Coffee. No purchase is necessary and no coupons are needed in order to get this tasty and refreshing freebie! This awesome new drink is going to be a permanent fixture on the Dunkin’ menu. This drink will energize you as it cools you down. The flavor of this coffee beverage is the perfect combination of creamy and bold. You have to try it for yourself to find out how great it is! Remember, this freebie offer is only valid on Friday, May 19 between 10:00 AM and 2:00 PM. Enjoy!